Theme: It’s amazing how something as common and uncomplicated as wire can be used to create complicated and interesting things. 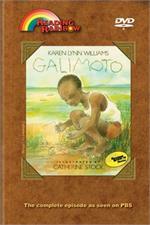 Walking through his village, a young African boy uses his wits to search for scraps of wire to make his very own "Galimoto". Viewers are shown how something as common and uncomplicated as wire can be used to create complicated and interesting things. LeVar interviews a wire artist that makes sculptures from wire, a circus family who does high wire acts without a net, and he takes the longest tramway in the world - which, by coincidence, moves on a cable wire. Wire for Art - LeVar investigates how something common and uncomplicated as wire can be used to create complicated and interesting things. LeVar introduces viewers to a wire artist who creates sculptures out of wire and she talks about how she does her work. Wire for the Circus - LeVar visits Ringling Brothers Barnum & Bailey Circus. The Quiros family does a high wire act without a net and talk about their relationship between the wire and each other. Use this episode to further enhance your math and science curriculum. Math Concepts: geometric shapes, problem solving, linear measurement, size. Science Concepts: experimentation, assessing wire strength, ductile nature of wire, building a model. Rights granted with purchase include: a) life of media audiovisual use, b) public performance and c) campus or building closed circuit.